Please ask for current prices and delivery periods. 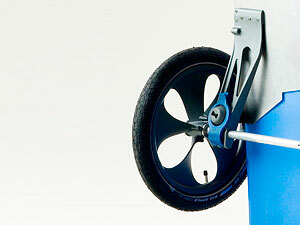 The FlexoPorter offers a multitude of reasoned/elaborate details. 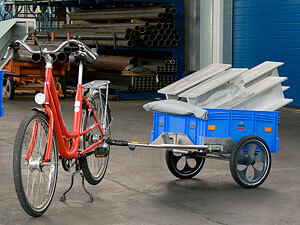 It is usable both as trolley and as bicycle trailer and therefore a practical companion with great loading volume. 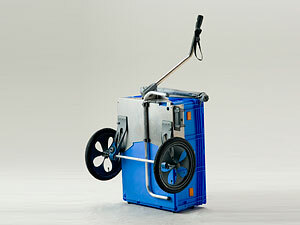 The container of L-version has an inner size of 762x 562x 301mm, XL-version has an inner height of 501mm. Therewith the offered space is more than ample for most requests. The box, which is made out of polypropylene, is extremely tough and resistant against acids and bases, organic solvents and grease. 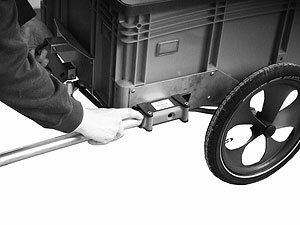 The bed is provided with an anti slip mat so that the material loaded of up to 40kg or 80kg (XL-version) does not slip. The tarpaulin which is made out of waterproof fabric material, is fixed at the head side and tightened by an elastic cord all around. 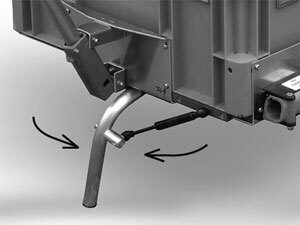 Newly developed is a practical double kickstand, which can be pulled out and in with an easy kick over a gas spring device. 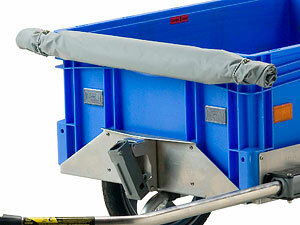 It allows a certain stand while loading and unloading, or when the pole is switched. 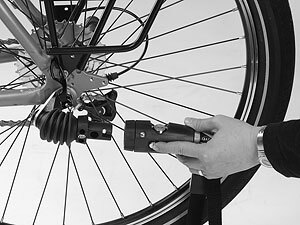 As connection to the bicycle, the successful Weber system with bayonet lock is used. 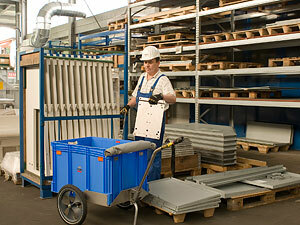 The chassis of L-version with elastomer suspension, which is also from the Weber module, allows a smooth run. 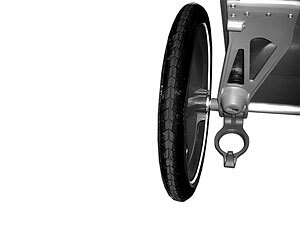 The XL-version comes with reinforced axle without suspension. 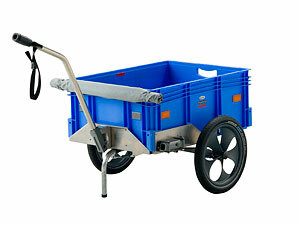 The wheels are made out of fiber-reinforced plastic and are equipped with high-value industrial bearings. They are locked at the chassis with a snap closing. 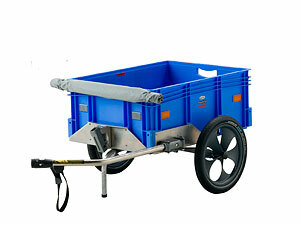 Reflectors on every side of the box, reflecting tires and a diode rear light insure safety. 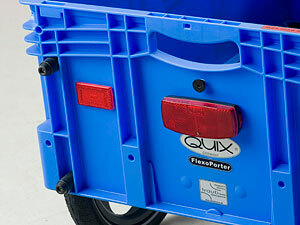 Furthermore, four parking rests at the back of the box allow the space-saving storage of the FlexoPorter. All related components are consistently produced out of long-lasting and rust-free materials, so a long product life is expected.